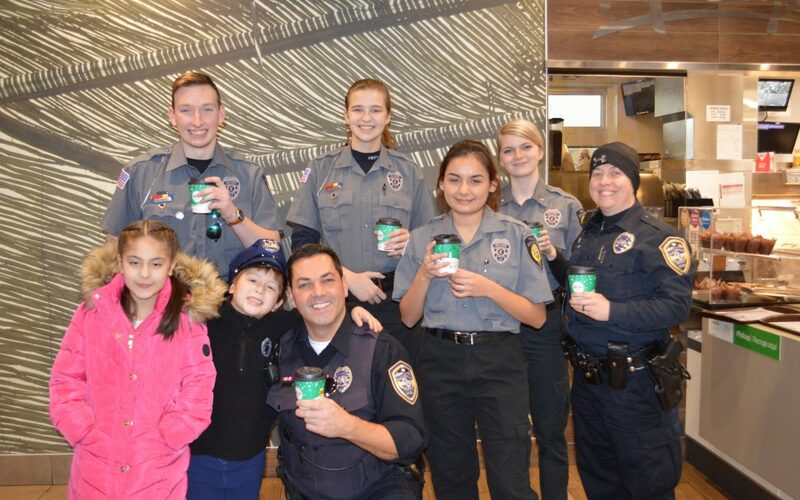 In view of colder temperatures, what better way to get to know the Hoffman Estates Police Department than over a hot cocoa. 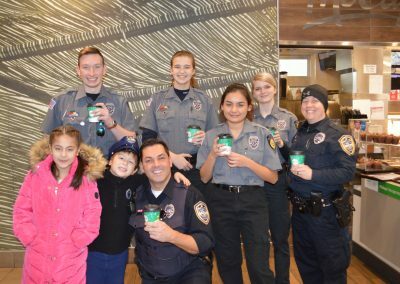 The Cocoa with a Cop event, hosted by Hoffman Estates McDonald’s, on Wednesday, December 12, at 1070 N. Roselle Rd., which aimed to bring the community together did just that by serving up more than 50 cups of hot cocoa to customers. 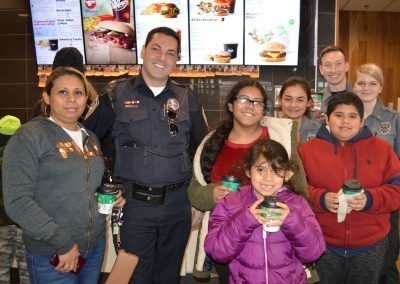 David Bear, owner-operator, of the Hoffman Estates-based McDonald’s franchise, said that taking part in such community-building events help to bridge relationships between residents and the local police force. Bear says events like these are a great opportunity for residents to come up and ask questions. 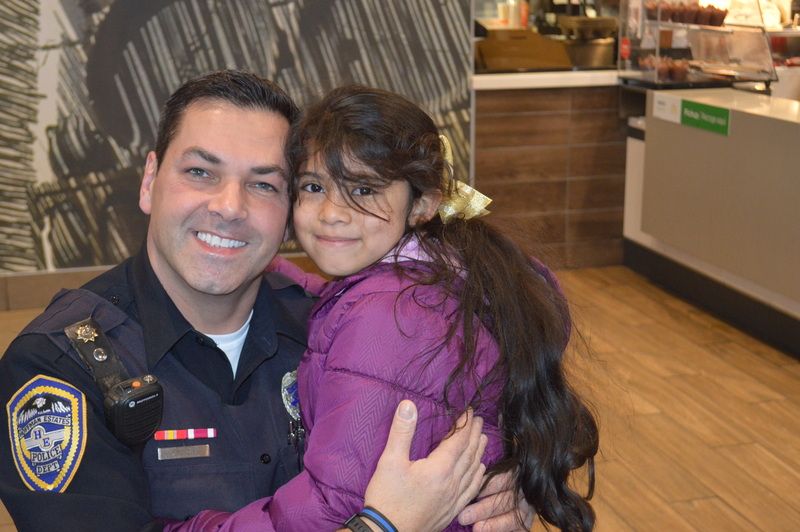 One mom told officer Kruschel that she always taught her kids to run to a uniform and not away. 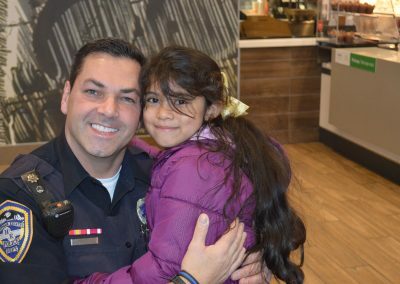 Her husband told Kruschel that their family feels assured and secure when they see the Hoffman Estates patrol cars in their neighborhood. Mayor McLeod even stopped by and was thrilled to see Hoffman Estates finest at work bridging the bonds of the Community. Sergeant Mueller and Officers Johnson, Kruschel, LaFrancis, and Turman attended the event to personally meet and greet those in attendance. 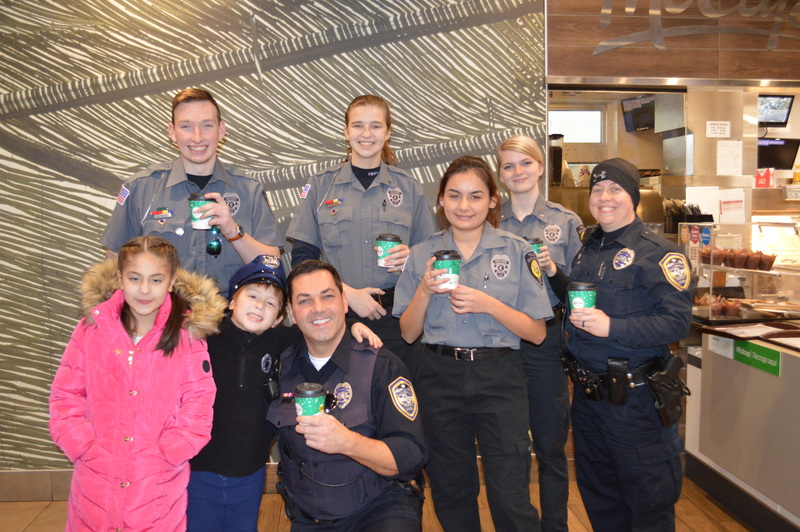 Also from the Explorer Program, Cadets Quintana, Wimmer, Bryan and Olszewski were in attendance serving hot cocoa and giving sticker badges to the children. 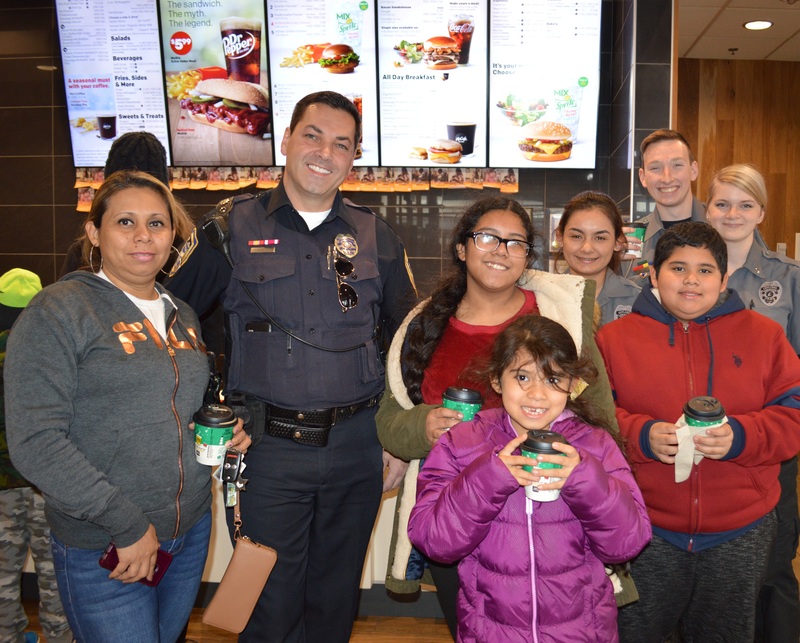 “We are proud of the role we have maintained in Hoffman Estates, and we are happy to see the community and the local police department enjoying cocoa and conversation together. It’s just how winter should be.” Bear said. This event was hosted by the Bear Family Restaurants and McDonald’s Owner-Operator, David Bear. Like us on Facebook and visit our Website . 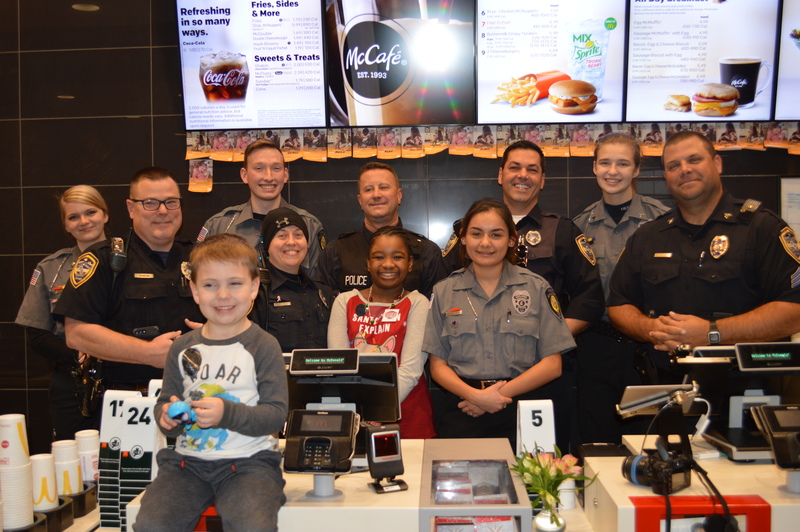 For more information about events provided by the Hoffman Estates McDonald’s, please contact Community Relations Director, Julie Travers at julie.travers@comcast.net.